This paper investigates the rules on product oversight and governance, which are among the most significant, if not the most significant among those introduced by the IDD. 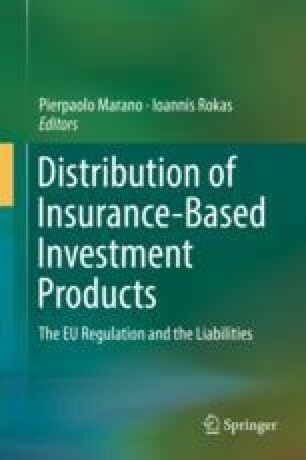 The paper focuses on the profiles that have more relevance to insurance-based investment products. Thus, the starting point of the survey is the origin of the new rules that were then adopted by the IDD. After examining the events that led to the definition of the current European framework, the survey examines the process required to insurers and intermediaries who manufacture and/or distribute these products. The possible shortcomings in the fulfilment of the new obligations are then taken into consideration together with the different profiles of responsibility that it is reasonable to assume from the new regulatory framework not only in relation to the producers and distributors, but also with respect to the supervisory authorities.